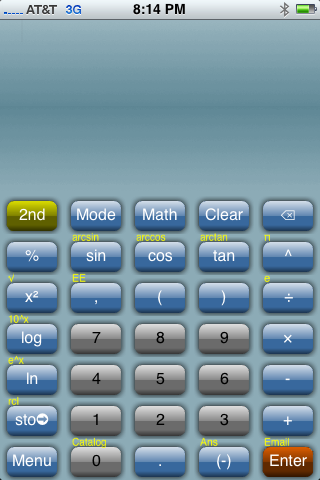 Calculator Widget is an application that adds a Calculator to your SBSettings toggles. I honestly delayed on checking this on out because it didn’t seem too exciting but, once I checked it out, I realized that this could be a very helpful widget! As a math and science teacher, I do a fair share of tutoring to make some additional income. I often carry my trusty TI-83 Plus (special edition blue, baby!) with me, but there have been several times when all I had was my iPhone. I will admit that the included iPhone calculator makes for a pretty decent substitute, and I get my scientific calculator functions when I rotate to landscape mode. However, there remained some functionality that was to be desired, and having a one-line display seems to remind me of the difference between a TI-30 and its bigger cousin, TI-83. Personally, I’m not huge on calculator mods. 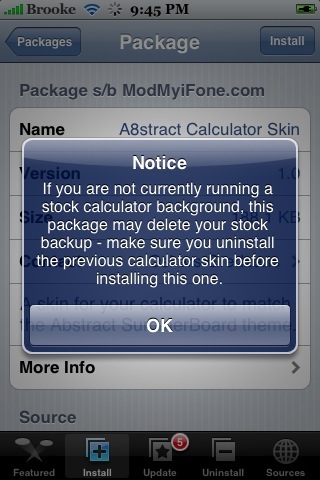 I actually use my calculator quite frequently so, I’m not sure why I’m not big on modding it. However, every once and a while I find a decent mod. 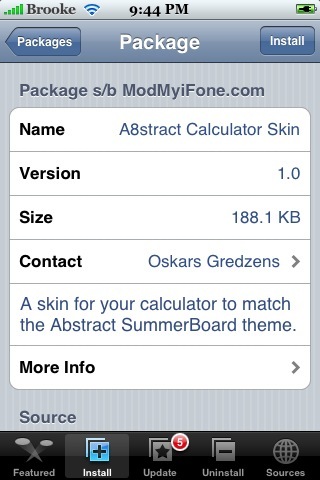 Calculator-White is a mod that gives your calculator a white theme and give the buttons more of a handwritten look. 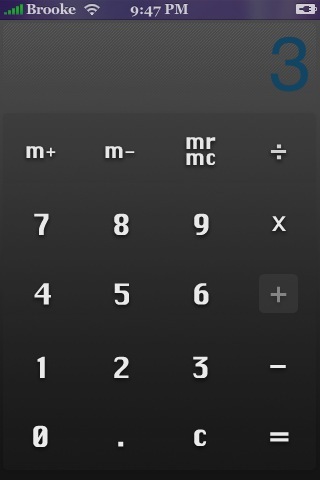 One thing I like is that it also mods the extended calculator (when you turn your iPhone to landscape mode while in the Calculator application). 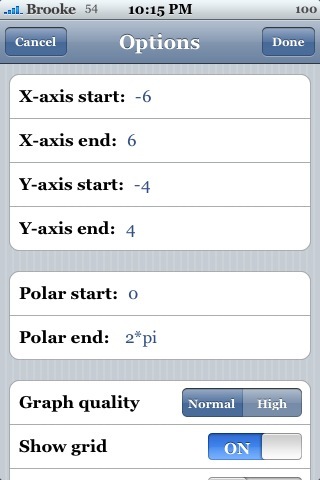 Calculator-White is activated/deactivated via WinterBoard and is available via the Apple-News.fr source. Screenshots below. 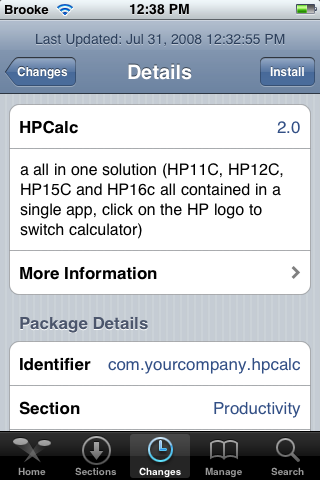 HPCalc is basically the craziest calculator application I have seen yet. 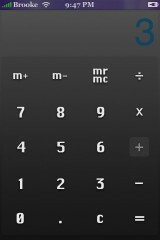 And, as with all my calculator reviews, I will do my best to describe it! 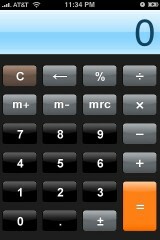 I probably only understand about 5% of this application so those of you who are like calculator gurus, go easy on me! 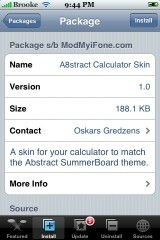 :) When you open the application, it will open to a landscape calculator. As if that calculator wasn’t enough, you can select the HP icon in the upper right corner and get quite a few more options. 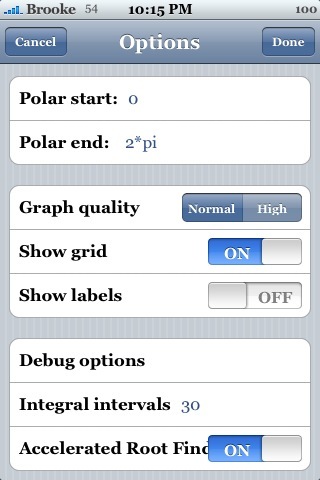 On the main options menu you have the options; Select Calculator, Preferences, Constants and Unit Conversion. 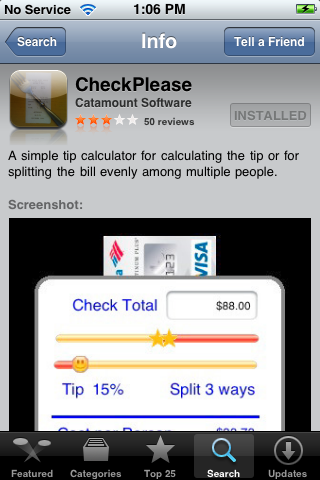 CheckPlease is the only free tip calculator/bill splitting application in the App Store (as of right now). This type of application is one that I like to have available on my iPhone. It is so much easier to type in a few numbers and have it spit out the totals than it is to sit around trying to guesstimate what everyone’s share of the bill is! When you open CheckPlease, you can enter the Check Total and the Tax Amount (in dollars). To enter a number just tap in the box in which you would like to enter the number and a keyboard will pop-up. When you are done typing in the amount, select Done in the lower right corner. It will automatically generate your Subtotal. 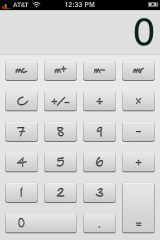 I do not see any visual changes to version 2.0 of GoodCalculator. I’m assuming the update does some behind the scenes updating. You can get GoodCalculator via the iSpazio source. 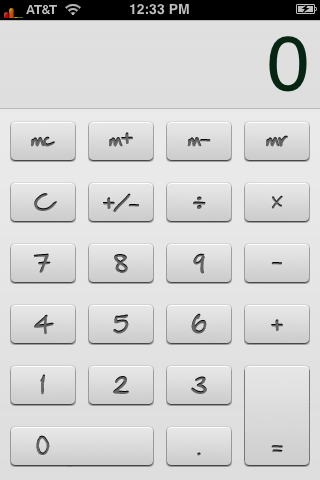 GoodCalculator is a calculator application. It is looks similar to the Calculator in firmware 2.0 and adds a percentage (%), back space (<--) and positive/negative (+-) option. 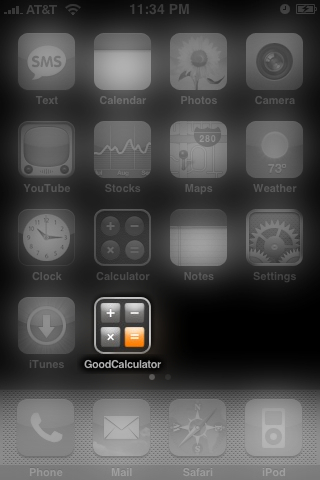 GoodCalculator does not replace your stock calculator, it adds as an additional application on your SpringBoard. 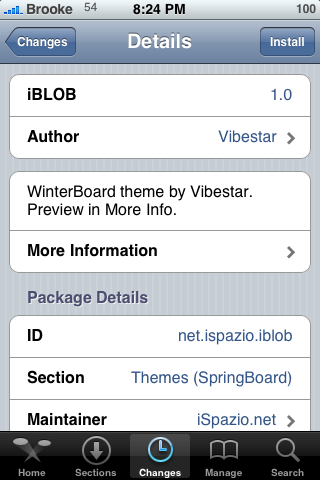 It is available through the iSpazio source. 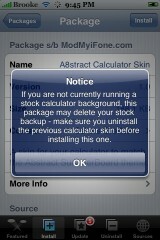 There have been a few Calculator mods in the Installer lately. So, I thought I would pass them along to you. I personally am not a bing fan of any of them…but, you might be! 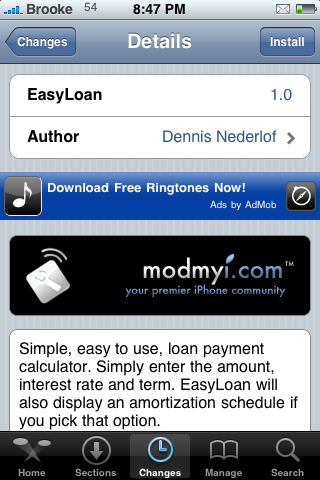 All of them are avialable through the ModMyiFone.com source. iPlot has been update to version 0.70. Below is the complete list of changes. I personally do not understand a word of what those changes mean but, maybe you do!! :) Hopefully they are good updates! 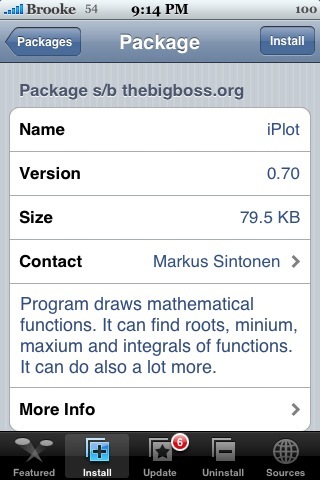 iPlot is available through the BigBoss source. 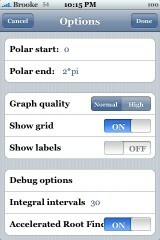 • Added ability to draw polar plots. • Increased accuracy with numerical derivate and integral. 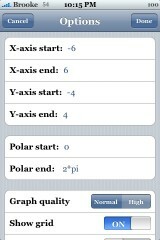 • User can now choose amount of intervals when calculating integrals. • Little improvements to UI.